Provides direct services to individuals recovering from recent breast or gynecological cancer surgery and those undergoing chemotherapy and/or radiation for those cancers. Patients choose from a variety of services that will lighten the stress cancer treatment creates for both the patient and family. Cancer survivors give hope and counsel to those new to the world of cancer. You will be matched according to criteria such as age, diagnosis and cancer stage. They have been trained to help you with problem solving, coping strategies and stress reduction techniques. Talking to someone who had a similar diagnosis and who overcame some of the same challenges that you may be facing can be comforting and reduce the sense of anxiety and isolation your diagnosis brings. Recognizing that transportation to and fromtreatment is often one of the most difficult challenges cancer patients face. This program makes transportation more accessible to cancer patients. The CWC provides gasoline gift cards and cab services to transport patients to their life-saving and life-sustaining treatments. Ellen's Well is a program that since May 2000 has provided psychosocial support for breast cancer and gynecological cancer survivors on Long Island's East End under the leadership of a specially trained certified social worker. Contact Edyle O'Brien at 631-329-0520. All are welcome, beginners and experts alike. Southampton Hospital and the Hampton Bays Wellness Center. For information and reservations on the above wellness groups, please call 631-726-8715. 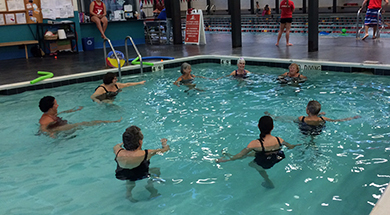 A space for retreat to all breast and gynecological cancer survivors. The day addresses the mind, body and spirit through healing arts programs and an educational panel discussion lead by four top physicians in the fields of oncology, reconstructive surgery and/or psychology. This program is offered annually in the fall at the Cormaria Retreat in Sag Harbor, New York. This weekend is a time for getting away from the pressures of daily life and busy schedules. Discussions and activities offer guidance and instruction on how to better prioritize and organize life for happier and healthier living. 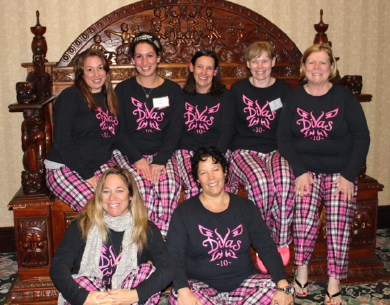 The retreat is for all breast and gynecological cancer survivors. The CWC provides informational tools to increase awareness and education about the importance of early detection. Newly diagnosed cancer patients are given hope and knowledge about how to navigate treatment and recovery. These programs benefit both women who are living with cancer and those who wish to learn how to practice preventive care. Staying nutritionally fortified can help promote good health, decrease the risk of recurrence and is a positive way to take control of life. A special service for breast and gynecological cancer survivors that enables them to get their lives back on track. The cancer experiences that challenge people the most are the ones that affect appearance, that alter bodies, self-image, self esteem and sexuality. The Pick Me Up Program can help individuals take charge of their lives with boosts of self improvement. This is the point where survival, and surviving survival, transforms into thriving in life. to discuss how to tell your children that you have cancer. to provide emotional support for the children and families that have been affected by breast and/or gynecological cancers. When a mom or family member is diagnosed with cancer, everyone is affected. Tara's Children provides warmth and acceptance in a safe and comfortable environment. Children and teens will receive the support and truth they need and will be given guidance to cope in their own way. Counseling offices are located in Southampton and Amagansett. Office visits and phone counseling is available for families and/or individuals. Counseling services are free of charge to those who do not have health insurance. 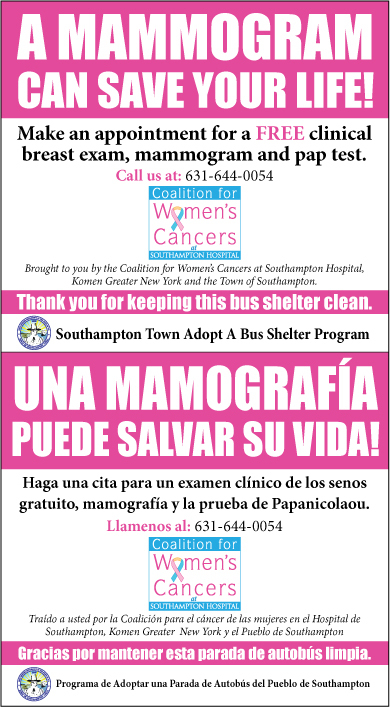 A mammogram can save your life! 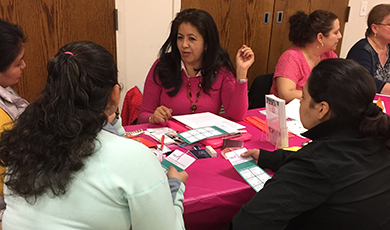 This program is supported by a grant from Susan G. Komen Greater New York. Una Mamografia Puede Salvar Su Vida! Please contact Susie Roden for more information about our programs. Groups led by a bilingual, bicultural social worker. Creating and sustaining a supportive network in our community for women affected by breast, ovarian, and uterine cancers. The CWC focuses on education, early detection and empowerment to bring about better health care and improved quality of life.